“You think I can’t?” B replies. “I didn’t say that,” says Naji, B’s youth services worker. “Anything is possible!” B roars. With a primal grunt, he benches more than he ever has in his sixteen years. He racks the weight, leaps off the bench and howls. 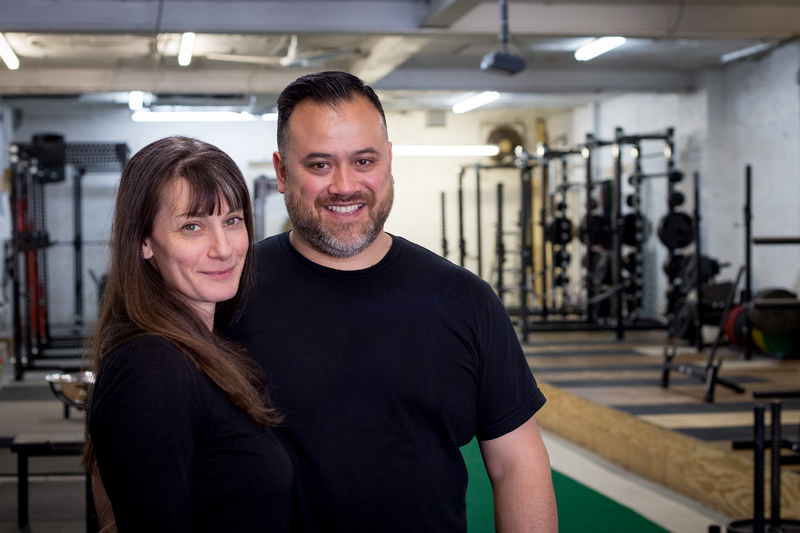 Scenes like that play out over and over during Beat the Weight, a non-profit organization and powerlifting program devised by filmmaker Andrew Filippone Jr. and Paulie and Rebecca Steinman, the head coaches at South Brooklyn Weightlifting Club. The goal is simple but hard: to enrich the lives of the disenfranchised through strength training. Right now, Paulie and Rebecca coach a group of Brooklyn- and Queens-based teenagers who have been found guilty of various crimes but, instead of being convicted, have been placed under the auspices of New York City’s Administration for Child Services. The city’s hope is that these kids can become mature and productive adults without facing prison time. This is where Beat the Weight can help. Beat the Weight is intended as a physical manifestation of personal empowerment. The renowned coaches were required to undertake a certification and orientation in order to knew how to interact with juveniles in a prison setting. Now, at the end of their semester-long program, their philosophy has taken hold in many of the young athletes. Filippone tells BarBend that while this is a pilot program, Beat the Weight hopes to do more to improve the lives of those disempowered by circumstance, including training the working poor, homeless, and those with mental and physical disability. The Steinmans aspire to host more groups at their gym, train in other venues, and raise funds so that disenfranchised areas can host their own gyms. As the class raps up, C is trying to PR his deadlift before he leaves for the day. Paulie gives some advice. Names of participants under 18 have been changed to protect their privacy. Learn more at BeatTheWeight.org. Note: Paulie and Rebecca Steinman are contributors to BarBend. Read more from them at those links. Images courtesy Andrew Filippone, Jr. and Paulie and Rebecca Steinman.